Just a year has gone by since the Arab Spring first hit Libya, and celebrations of Libya's liberation from its despicable dictator aren't exactly making headlines. Indeed, has there been much to glorify? There is little semblance of a central government, and intertribal fighting shows no signs of abatement. 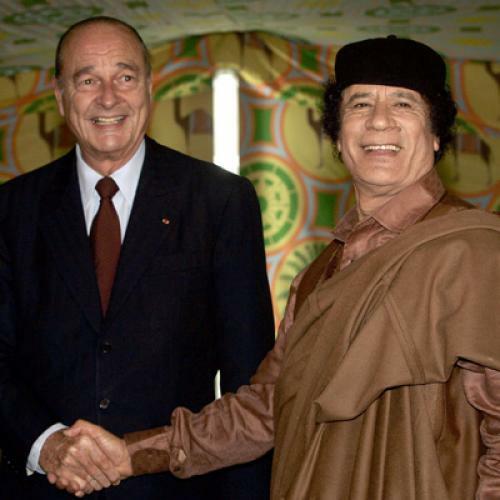 Are the Libyan people better off now than they were before France and Britain, with the United States "leading from behind," rushed to the rescue of the 2011 revolution? It’s time to take a painful assessment of the Libyan intervention—not least because it may have limited our options for dealing with both the butchery in Syria and the looming Iranian nuclear threat. To understand the repercussions, we must look back to eight years ago. In December 2003, the world was stunned by the revelation that the Libyan dictator Muammar Qaddafi had agreed to end his effort to develop a nuclear military capability. All the machinery and equipment were dismantled and the country was pronounced "clean." Thanks to the orchestrations of the CIA and MI6, for the very first time in history a Muslim state in the Middle East had voluntarily agreed to roll back its nuclear program. In exchange, the West tacitly agreed to guarantee the Qaddafi regime’s security and to acknowledge its legitimacy (while also reaching settlements on the downing of Pan-Am Flight 103 and other Libyan terrorist operations). To that end, a stream of high-level figures from Washington and London traveled to Tripoli to celebrate the rapprochement between Qaddafi and the international community. This was a high-stakes political bargain, but it was deemed justified by the ultimate goal: ridding the international community of a military nuclear threat in the heart of the Mediterranean. Moreover, it established a precedent that could be applied the next time a country in the volatile Middle East aspired to acquire nuclear weapons. As Barack Obama and Benjamin Netanyahu meet today, the bitter lessons of the Libyan campaign will hover in the background. In light of the Libyan experience, what nuclear aspiring nation can now put its trust in a rollback deal of any sort? When NATO took to the skies over Tripoli, Benghazi, and Misrata, it delivered the greatest possible blow to future non-proliferation diplomacy. There’s been plenty of collateral damage as well. Substantial quantities of sophisticated and toxic weaponry disappeared overnight from large Libyan armament stores and may have found their way, in part, to the most vulnerable and inflamed areas of the Middle East. Worst of all, the Libyan experience has already compromised—for the moment, at least—any chance that international coalitions can be assembled and maintained to deal with the Iranian nuclear threat and the Syrian crisis. Indeed, the West will regret spurning Russia. Moscow feels it was misled or outfoxed in Libya—hence its current stance in the U.N. Security Council, where it is using its veto to torpedo any international efforts to unseat Bashar Al Assad. Having lost Iraq and Libya as clients of its military industry, it is hanging onto Syria and might even upgrade the equipment it is selling to Iran. Russia will strive to prove that no resolution to the Syrian crisis can conclude without its participation and consent. Of course, there will be those who will ask about the moral and human aspects of the Libyan revolution. Indeed, what about them? How much has the lot of the Libyan people improved by the substitution of a dictator for havoc, lawlessness, and the collapse of governance? In the final analysis, does anyone really know how many died at the hands of Qaddafi's goons and how many were killed by the weaponry of NATO and other air forces? Philosophers and men of morals and justice who strutted across the stage have long gone home, leaving the people of Libya poor, destitute, and alone. And they have left the international community facing Syria and Iran with fewer and worse options than we had before the Libyan intervention. The question of whether it was worth it answers itself.